Football players are not the only group of people who are susceptible to concussion injuries. Another group that is at risk of being harmed in this way are people impacted by car accidents. Each year, millions of motor vehicle accidents occur that result in numerous accident victims experiencing concussions. 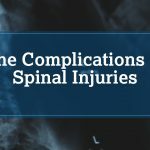 As a result of these injuries (as well as other conditions that might not be immediately noticed), it is important that a person visits a physician as soon as possible after a car accident. Grade 1: During this condition, a person will not lose consciousness but might experience temporary amnesia that lasts less than 30 minutes. Grade 2. A person with this stage of concussion will experience a loss of consciousness and amnesia that last between 30 minutes to 24 hours. Grade 3. This stage causes a person to lose consciousness longer than five minutes or suffer amnesia for more than 24 hours. Amnesia. Car accident victims who experience amnesia are unable to recall things and are confused about the date. Loss of consciousness. One of the most obvious signs of a concussion, a person can lose consciousness after hitting their head on the windshield, the steering wheel, or another object. Nausea, dizziness, sensitivity to light, and vomiting. These conditions can occur as a result of a concussion, but there are also other reasons these symptoms might be present. Avoid. You should temporarily avoid the situation that led to a concussion as your body heals. If your concussion is due to a motor vehicle accident, it is often a wise idea to avoid riding in motor vehicles for a while. Receive Adequate Sleep. The brain recovers during sleep, which means that you should make sure to receive adequate rest while recovering from a concussion. To ensure that you are rested as possible, reduce the number of distractions while falling asleep. Rest Your Brain. Overstimulating your brain after a head injury can create obstacles to ensuring that you properly rest and recover. Many people who are recovering from concussions discover that it is difficult to learn and process new material. If you must study during this time, space out the process and take frequent breaks. If you were involved in a car accident and are now experiencing or have been diagnosed with a concussion, it is essential to obtain the help of a skilled car accident attorney. Our legal counsel will fight to make sure that those responsible for your accident are held accountable for causing your injuries. 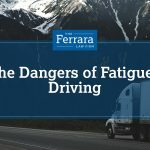 Contact Ferrara Law today to schedule an initial free consultation.